Exciting times for slot fans! We are adding 12 amazing new slots to our collection. 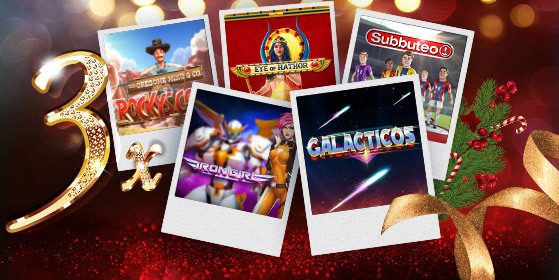 Dig for hidden treasure in Rocky’s Gold, have an Egyptian Goddess heap prizes on you in Eye of Hathor, or travel to outer space and score some enormous otherworldly wins in Galacticons. These and a heap of other top-notch games are lined up for December, and your players can collect triple loyalty points on premiere day!